City Slickers is a terrific event put on by Stony Plain’s Multicultural Heritage Centre. They bring in over 1200 city children to see where their food comes from and how it is produced. We are very proud to partner with the Centre and be one of the main venues for the day. 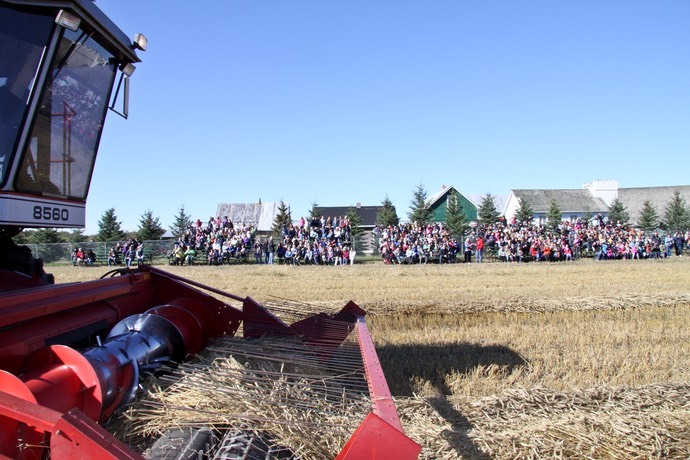 On our grounds we feature: modern combining, old fashioned threshing, blacksmith/farrier, canning and food tasting. City Slickers is on September 21, 2018.